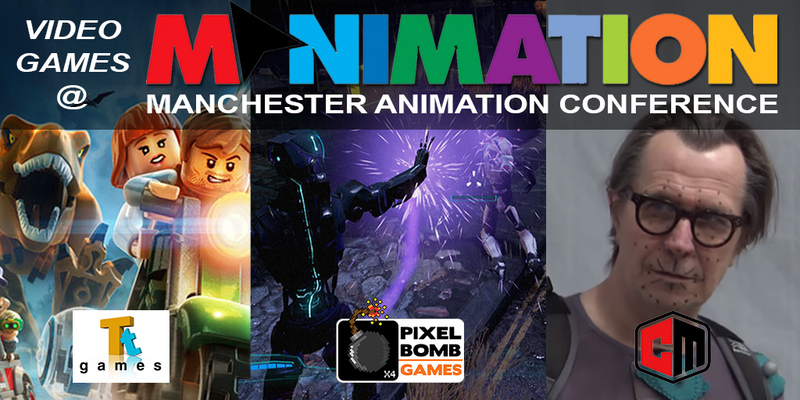 A few months ago I was asked to join the steering committee for Manimation, the conference day of Manchester Animation Festival to produce a couple of video games themed sessions for the day. 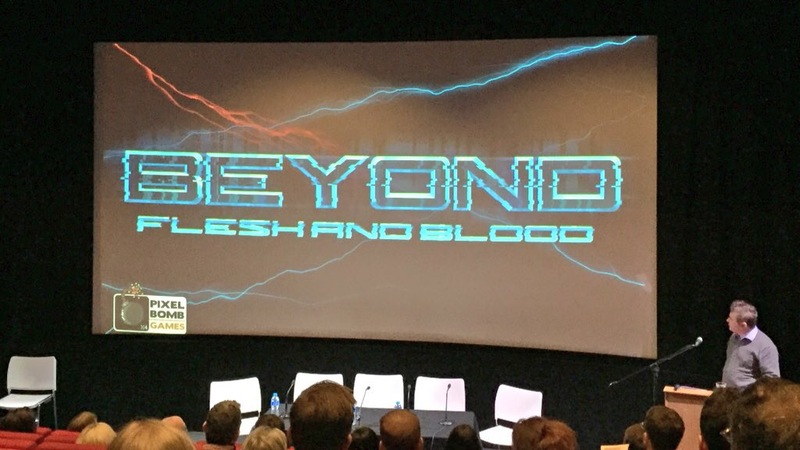 I invited Pixelbomb Games to show Beyond Flesh and Blood and worked with Studio Lidell to get TT Games to do a keynote on LEGO Jurassic World. We were also fortunate to have David Barton from Cubic Motion as part of the committee who kindly agreed to speak about his “top secret motion capture of a major Hollywood star” for a secret game. The conference began with a keynote from Alice Webb, Director of BBC CHildren’s who talk both about animated TV and the forthcoming kids iPlayer which will also feature commissioned video games. This was swiftly followed by John Kavanagh of Pixelbomb who woke the audience up with their 18-rated shooting game! 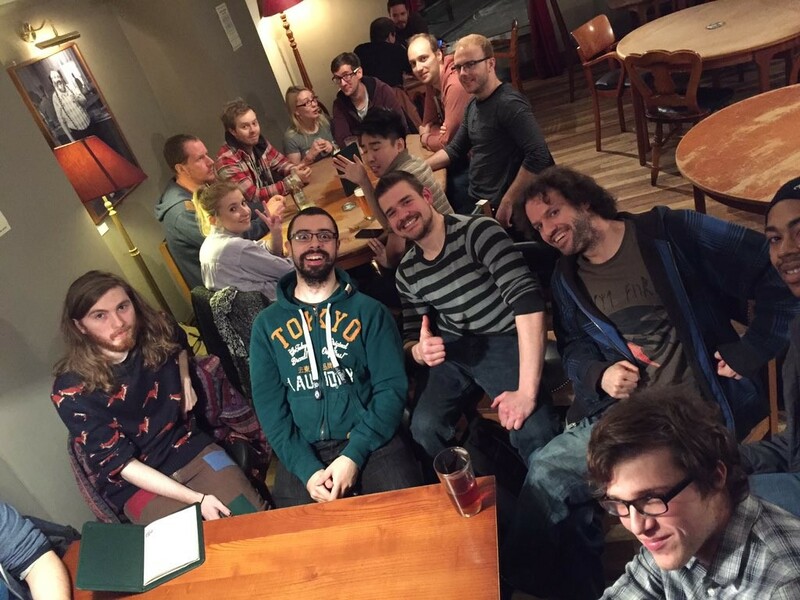 His was a short showcase session but he managed to show the game and talk about how proud they were to be making a game actually set on the streets of Manchester. This was followed by more sessions discussing everything form Children’s TV animation to different forms of funding. 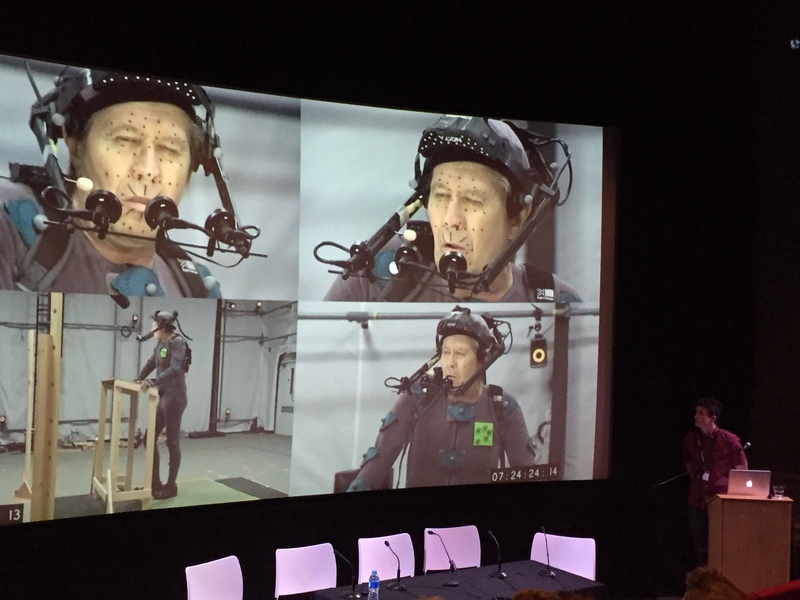 After lunch we were treated to David Barton from Cubic Motion, who are based in Manchester and are one of the world’s top facial motion capture companies – these are the team that did the amazing work on Kevin Spacey for Call Of Duty: Advance Warfare last year. In another short showcase David revealed they have been working on Squadron 42, the Star Citizen offshoot that is being created by Cloud Imperium’s ‘Foundry 42’ studio in Wilmslow. Cubic Motion have been doing all the facial mo-cap for actors such as Gary Oldman, Gillian Anderson, and Mark Hamill. David spoke about the process of taking an actor’s performance and translating it into a real-time game engine. To finish the afternoon we had another great keynote from David Brown, the Cinematics Animation Director of TT Games from Wilmslow just outside Manchester. 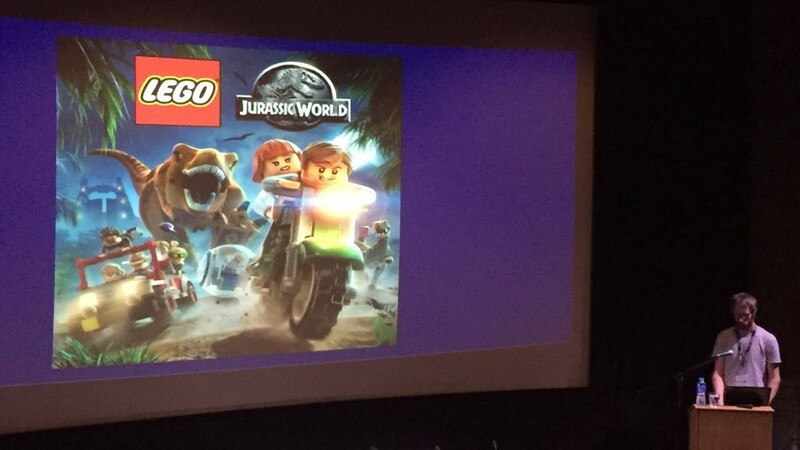 He spoke about how they had worked with another Manchester-based animation company, Studio Lidell, to deliver 75 minutes of cut-scene animation for one of the year’s biggest video games – LEGO Jurassic World. He spoke about how they had given Studio Lidell great leeway to add more bits of fun into the animations and how the processed worked between them and the approvals from many different stakeholders. It was a great talk and the crowd of mainly non-games people were fascinated to hear it.